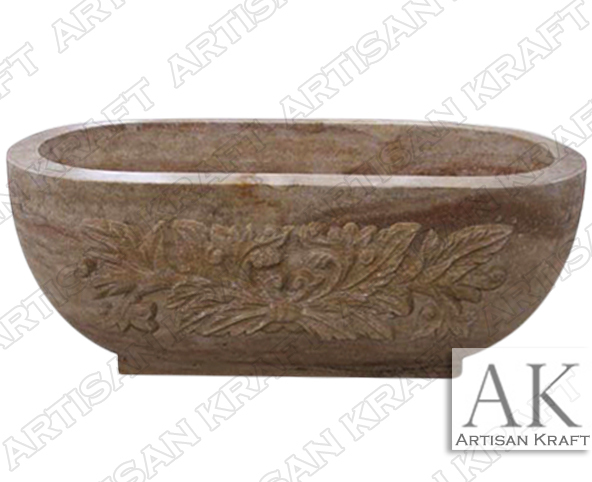 A floral design carved onto the front of this real stone tub. Travertine is becoming more widely used. It is a natural stone that typically comes in a range of beige colors. This decorative freestanding travertine tub has a pedestal bottom for a dramatic stand. Tub can be ordered in custom size for a larger design. Overflow drain and soaking side are additional upgrades.